Unfortunately, I’ve had a very good friend come across horrible dating scams and because of them, she has suffered greatly both emotionally and physically with stress, anger, hate and lost self-esteem, as well as feeling as if she was cheated on. Because there’s such a big amount of experience that can be useful, I will share them with you. Online dating sites like Eharmony seem to be filled with those scammers. The number one way to distinguish them is by the way they talk, their crazy infatuated love that just seem to go on and on. I have tried a million times to put into words how I feel for you. It’s so hard to describe such an intense emotion. I knew from the day we met, that you were meant for me. There are so many expressions of our love: the touching of your voice, the way your lips feel pressed against mine and thats when i take a close look at your picture, how you rub your thumb over the back of my hand, the way my knees buckle when you look into my eyes, how a smile lights up my face when I hear your voice, how my body responds to yours when we make love, how happy I am when I am with you – you make me who I am.Its all my imagination. There was a huge void in my life until you came along. I thank God everyday for leading us to each other. You complete me. I think back to how empty my life was without you, and I am so grateful that you are here. I can’t wait to spend forever with you. You are my life, my love, my soul mate, my heart, and my reason for breathing. I love you, with everything I am. Repetitive emails about how much they love you. Even someone who’s completely smitten by you should be more interested in talking to you about other things too. If all they’re saying is poetry on how much they love you, then it’s likely to be a scam. Sometimes, they have pretty bad grammar. They keep saying they’re going to meet but things got delayed, and he doesn’t make it for some unknown reason. They’ve never offered to use a webcam. At this day and age, this isn’t difficult. They send you very little pictures. If they say they’ve got a son/daughter, ask to see more pictures. Usually, scammers have to send fake pictures and it’s hard to find multiple pictures of the same person. They don’t even try and do any voice chats with you. They claim they’ve got a family member stuck in a difficult position at another country and desperately needs money. They’re asking for your bank details or personal details. Firstly, see if you can determine this person’s IP address. Sometimes, emails can show that. Do a google search on how to extract IP addresses and type their IP address in this website, it will tell what country they’re from. However – be careful because some people actually can use proxy’s that hide their real location. 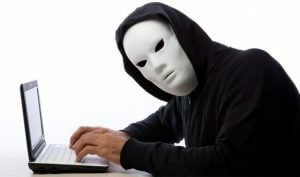 Never ever trust that someone is who they claim to be unless you’ve had a webcam and voice talk. Run the other direction as soon as someone asks you for money. Usually if you have been targeted once and they succeeded, your email is likely to be on their “list” so you will receive countless other scam messages. The sad thing is, even the “lawyers” you come across who assures that you will get your money is probably fake. Countries that seem to be high in those scams, according to experiences I’ve witnessed: Ghana, Nigeria. I hate to label countries but this is absolutely 100% true according to experience I’ve actually witnessed. Always remember just how easy it is for someone to get a fake identity, send some fake emails and live a fake life on the internet.